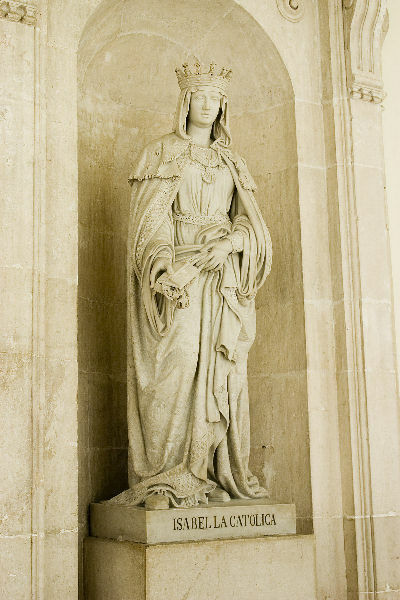 Statue of Queen Isabella the Catholic, in a hallway inside the Palacio Real in Madrid. 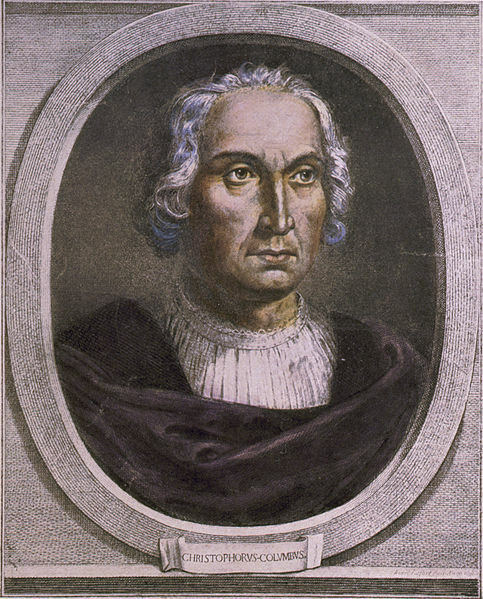 It is impossible not to admire the great constancy of purpose and loftiness of spirit displayed by Columbus ever since he had conceived the sublime idea of his discovery. More than eighteen years had elapsed since his correspondence with Paulo Toscanelli of Florence, wherein he had announced his design. The greatest part of that time had been consumed in applications at various courts. During that period, what poverty, neglect, ridicule, contumely, and disappointment had he not suffered! Nothing, however, could shake his perseverance, nor make him descend to terms which he considered beneath the dignity of his enterprise. In all his negotiations he forgot his present obscurity; he forgot his present indigence; his ardent imagination realized the magnitude of his contemplated discoveries, and he felt himself negotiating about empire. Though so large a portion of his life had worn away in fruitless solicitings; though there was no certainty that the same weary career was not to be entered upon at any other court; yet so indignant was he at the repeated disappointments he had experienced in Spain that he determined to abandon it forever rather than compromise his demands. Taking leave of his friends, therefore, he mounted his mule, and sallied forth from Santa Fe* in the beginning of February, 1492, on his way to Cordoba, when he intended to depart immediately for France. 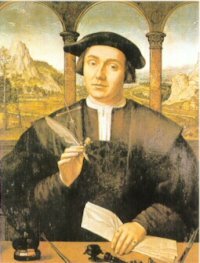 Luis de St. Angel, finance minister to Ferdinand II who made the case to Isabella I in favor of Christopher Columbus' voyage in 1492. 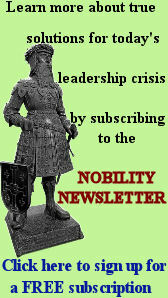 When the few friends who were zealous believers in the theory of Columbus saw him really on the point of abandoning the country, they were filled with distress, considering his departure an irreparable loss to the nation. Among the number was Luis de St. Angel, receiver of the ecclesiastical revenues in Aragon. Determined if possible to avert the evil, he obtained an immediate audience of the queen, accompanied by Alonzo de Quintanilla. The exigency of the moment gave him courage and eloquence. He did not confine himself to entreaties, but almost mingled reproaches, expressing astonishment that a queen who had evinced the spirit to undertake so many great and perilous enterprises should hesitate at one where the loss could be so trifling, while the gain might be incalculable. He reminded her how much might be done for the glory of God, the exaltation of the Church, and the extension of her own power and dominion. What cause of regret to herself, of triumph to her enemies, of sorrow to her friends, should this enterprise, thus rejected by her, be accomplished by some other power! He reminded her what fame and dominion other princes had acquired by their discoveries; here was an opportunity to surpass them all. He entreated her majesty not to be misled by the assertions of learned men that the project was the dream of a visionary. He vindicated the judgment of Columbus, and the soundness and practicability of his plans. Neither would even his failure reflect disgrace upon the crown. It was worth the trouble and expense to clear up even a doubt upon a matter of such importance, for it belonged to enlightened and magnanimous princes to investigate questions of the kind, and to explore the wonders and secrets of the universe. He stated the liberal offer of Columbus to bear an eighth of the expense, and informed her that all the requisites for this great enterprise consisted but of two vessels and about three thousand crowns. 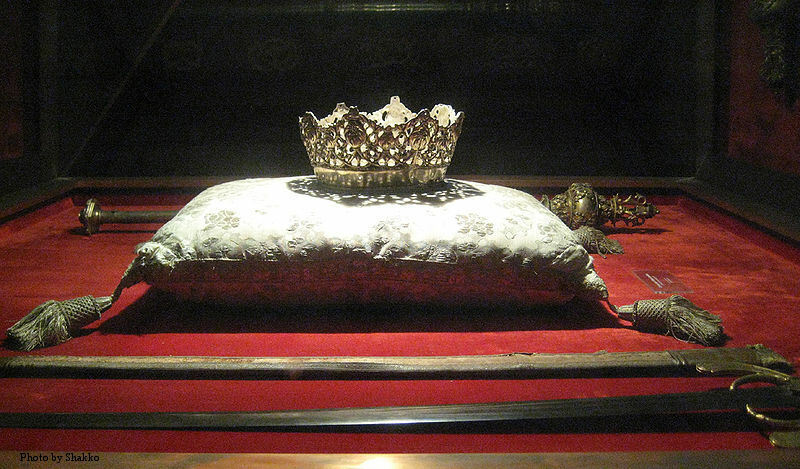 Queen Isabella of Castile's crown and King Ferdinand of Aragon's sword in the Capilla Real, Granada. These and many more arguments were urged with that persuasive power which honest zeal imparts, and it is said the Marchioness of Moya, who was present, exerted her eloquence to persuade the queen. The generous spirit of Isabella was enkindled. It seemed as if, for the first time, the subject broke upon her mind in its real grandeur, and she declared her resolution to undertake the enterprise. There was still a moment’s hesitation. 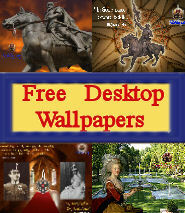 The king looked coldly on the affair, and the royal finances were absolutely drained by the war. Some time must be given to replenish them. How could she draw on an exhausted treasury for a measure to which the king was adverse! St. Angel watched this suspense with trembling anxiety. The next moment reassured him. 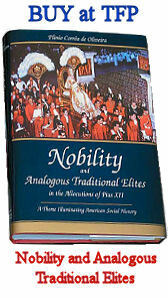 With an enthusiasm worthy of herself and of the cause, Isabella exclaimed, “I undertake the enterprise for my own crown of Castile, and will pledge my jewels to raise the necessary funds.” This was the proudest moment in the life of Isabella; it stamped her renown forever as the patroness of the discovery of the New World. 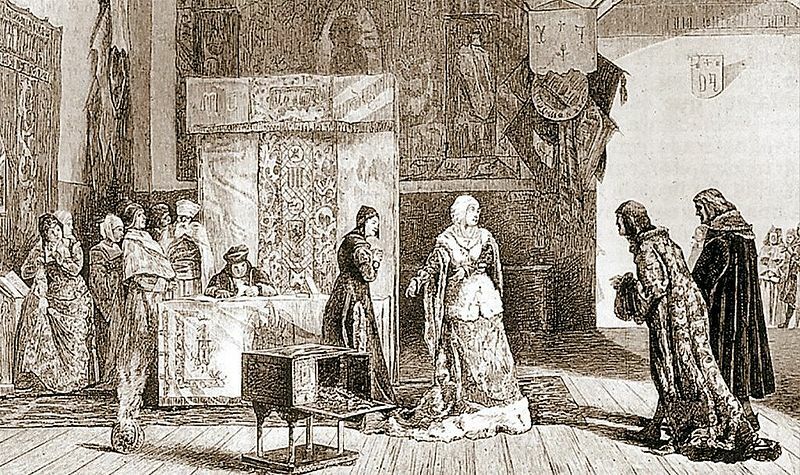 Queen Isabella pledging her jewels for Columbus' expedition. The original painting was created by artist Antonio Munoz Degrain (1843-1924), c. 1878. Although this painting was displayed at the 1878 Universal Exhibition in Paris, since that time, the painting has disappeared. This painting was the basis for the US commemorative $1 stamp, Isabella Pledging Her Jewels, issued in 1893. St. Angel, eager to secure this noble impulse, assured her majesty that there would be no need of pledging her jewels, as he was ready to advance the necessary funds. His offer was gladly accepted; and the funds really came from the coffers of Aragon; seventeen thousand florins were advanced by the accountant of St. Angel out of the treasury of King Ferdinand. That prudent monarch, however, took care to have his kingdom indemnified some few years afterward; for in remuneration of this loan, a part of the first gold brought by Columbus from the New World was employed in gilding the vaults and ceilings of the royal salon in the grand palace of Zaragoza, in Aragon, anciently the Aljaferia, or abode of the Moorish kings. Columbus had pursued his lonely journey across the Vega and reached the bridge of Pinos, about two leagues from Granada, at the foot of the mountain of Elvira, a pass famous in the Moorish wars for many a desperate encounter between the Christians and infidels. Here he was overtaken by a courier from the queen, spurring in all speed, who summoned him to return to Santa Fe. He hesitated for a moment, being loath to subject himself again to the delays and equivocations of the court; when informed, however, of the sudden zeal for the enterprise excited in the mind of the queen, and the positive promise she had given to undertake it, he no longer felt a doubt, but, turning the reins of his mule, hastened back with joyful alacrity to Santa Fe, confiding in the noble probity of that princess. * Santa Fe: the name of the temporary city built by the army of the Catholic Kings, Ferdinand and Isabella, outside of Granada, during its siege of this Moorish capital. Washington Irving, The Life and Voyages of Christopher Columbus (New York: The Co-operative Publication Society, Inc., n.d.), Part One, pp. 86-89. More than her Crown jewels, it was Queen Isabella’s words of endorsement and patronage of the voyage that tipped the scales decisively in favor of Christopher Columbus. 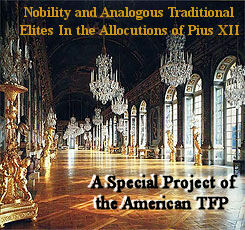 Did the Queen have some intuition regarding the trip’s successful outcome? 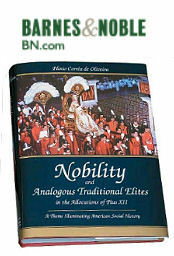 Of the perennial glory this discovery would represent for Spain? For the Catholic Faith? It is not always that a great leader has such intuitions, and often he or she have to determine a nation’s course based on the few and poor elements at hand. As they are the authority, they have to make a decision. But the mantle of leadership is no small burden and at times the effects resulting from its exercise involve awesome responsibility. These are just a couple reasons why those in authority (like parents in a well-structured family) deserve the support and understanding of their people (or children), not their bitter and crippling criticism.